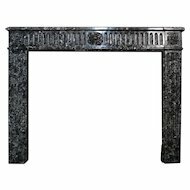 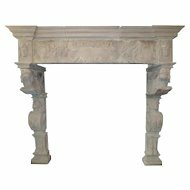 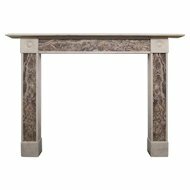 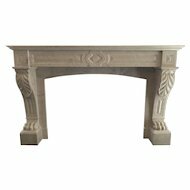 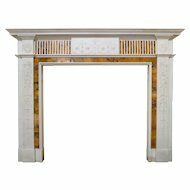 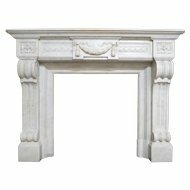 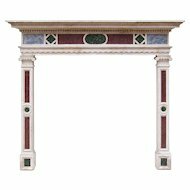 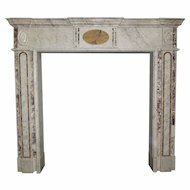 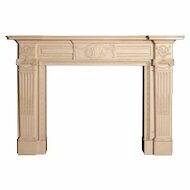 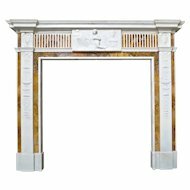 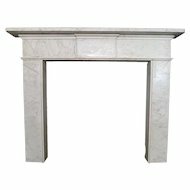 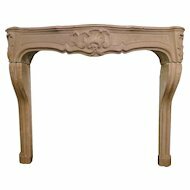 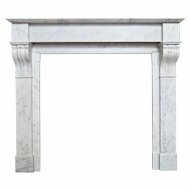 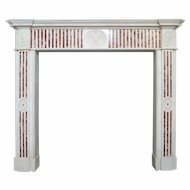 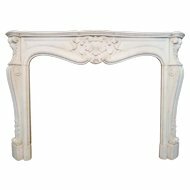 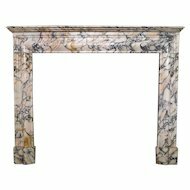 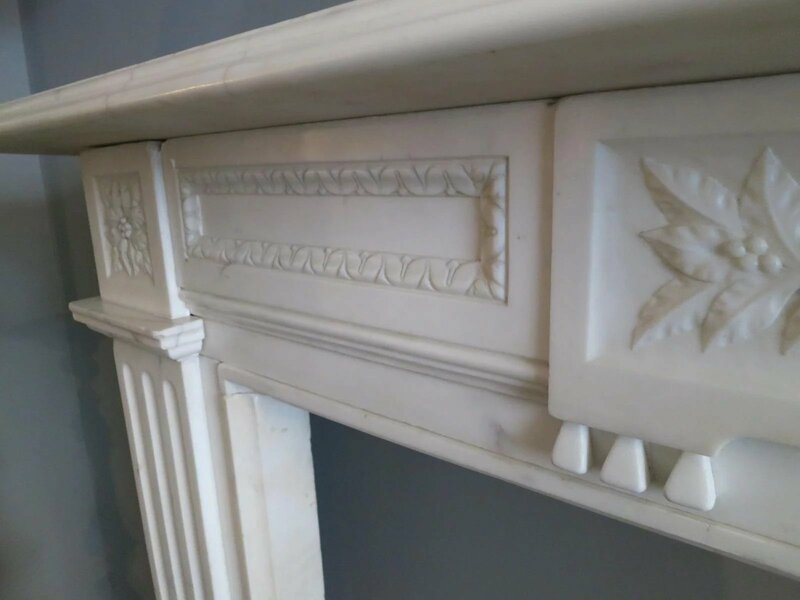 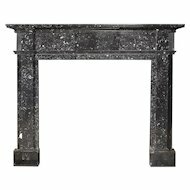 A substantial English 19th century Statuary white marble fireplace in the Regency manner. 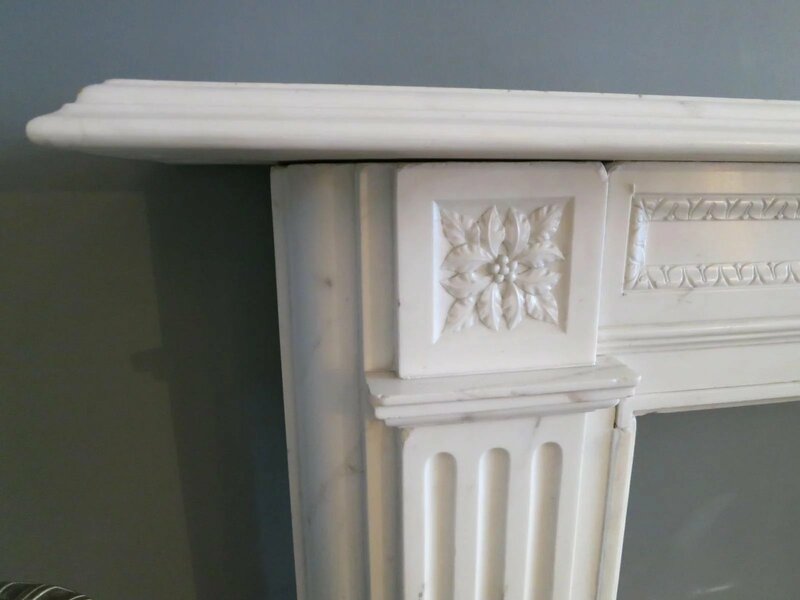 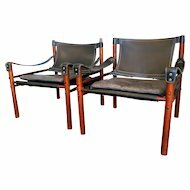 The fluted Jambs, with cushion moulded returns and carved floral corner blocks. 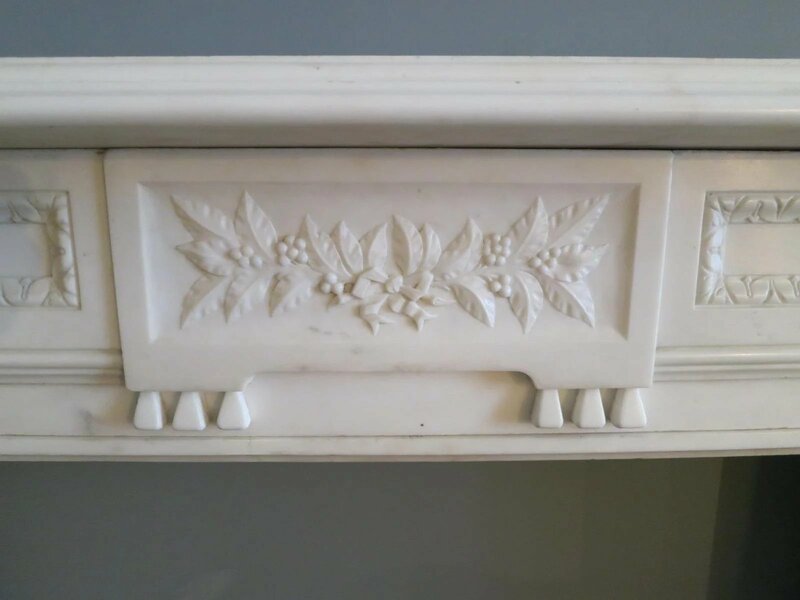 The centre tablet with carved floral tied sprucing berries, flanked on either side by foliage fielded panels. 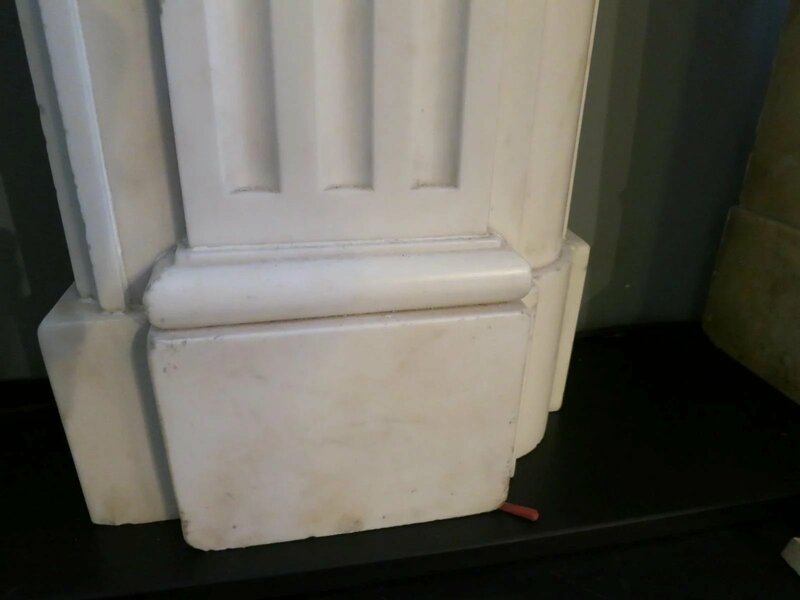 All beneath and large generous shelf.